You have to realise that economic growth funds the Government, both State and Federal. In the case of Federal, deficits are only the amount of money that has been added to our growth with no ill effect. T-bonds and other government investment tools only remove money from the economy. Your premise defys reality. Being on the dole should be a highly offensive circumstance for any individual. People today wear it as a badge of honor. That offends me. 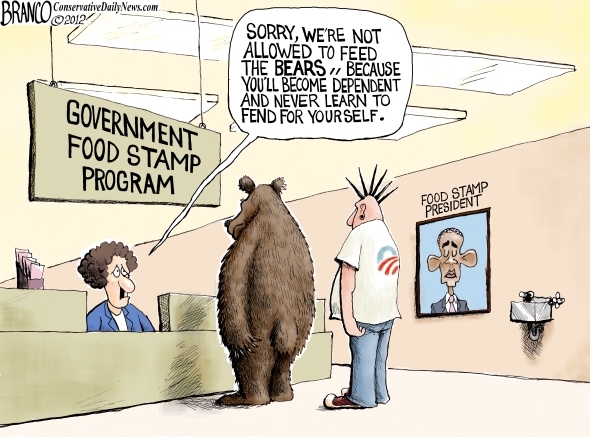 They could starve and it wouldn’t bother me, as a taxpayer. If it my neighbor is in trouble and I choose to help, that is another matter; the decision is mine. However, since the fed.gov fails at everything it does (except squandering money on worthless programs), they are absolutely the last entity who should be determining help for anyone–other nations included. Let the largest holder of gold in the world practice what it preaches (truly hollow words from that entity). The welfare system should be limited to six months for each taxpayer (and unavailable to non-taxpayers) and done. Having become unexpected unemployed in a state not my home, I got help for one month–as long as it took get a job, making pizza dough. It was hazardous to a health condition but superior to being a leech. The aspect of Welfare that bothers me the most is the fact that parent/s get more money for each child. I never thought about that until my own daughter was in 2nd grade and came home to report that a classmate was pregnant (I first assured myself she understood the word pregnant. She did.) To make a long story short, this little girl was 6th generation welfare and happy as could be about being pregnant because it meant that by the time she was 16 and legally able to drop out of school, she should have enough kids to have a good income. That was a few years ago and I am still appalled at this way of thinking.